Spiders: How Spooky Are They? Matt Bertone and a collection of his arachnid acquaintances. 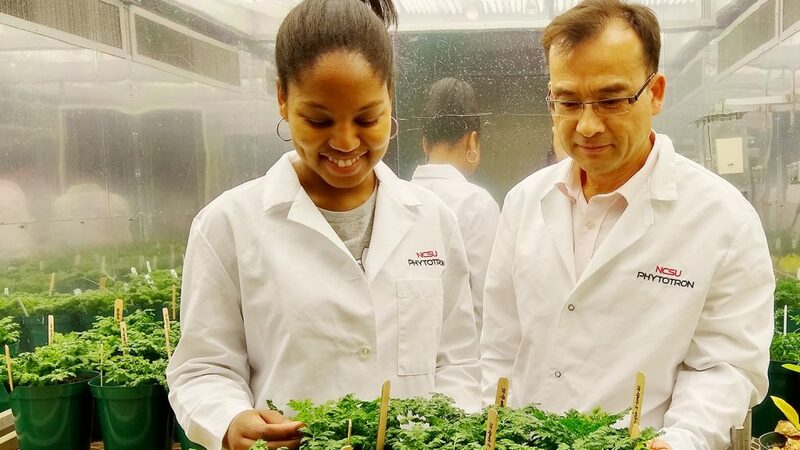 Editor’s Note: this is a guest post by Dee Shore, in the communications office of NC State’s College of Agriculture and Life Sciences. Spooky scenes of fake spiders in giant webs are everywhere this time of year. But despite the Halloween hype, spiders hardly deserve their reputation as dangerous creatures, says NC State University entomologist Matt Bertone. 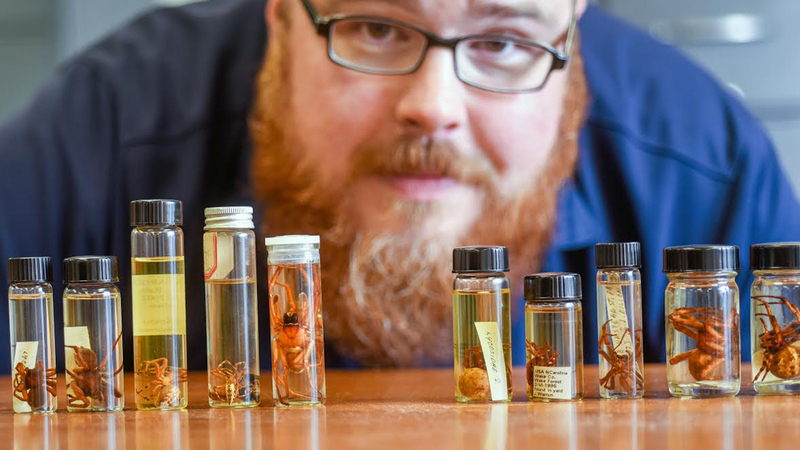 Through his job with the university’s Plant Disease and Insect Clinic, Bertone regularly comes face-to-face with many different types of spiders. 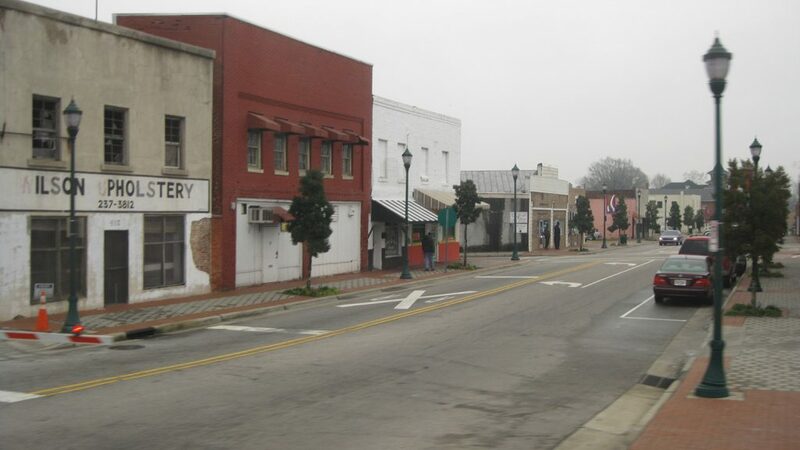 Most of the people who use the clinic are farmers, gardeners and North Carolina Cooperative Extension agents who want to know what disease or insect is causing crop and plant damage. However, homeowners, doctors and others concerned about spiders and spider bites frequently turn to him to get proper identifications. 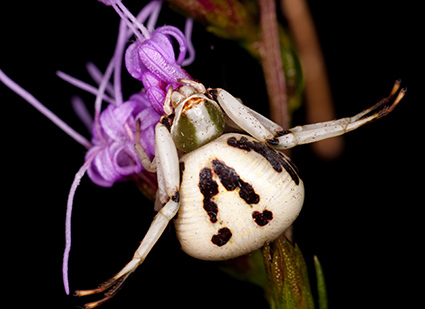 In addition to being a university Cooperative Extension scientist, Bertone is also an accomplished photographer who enjoys getting close to spiders and insects that he finds not only fascinating but beautiful. Here, he answers a few spider-related questions. The Abstract: What do people ask you about spiders? 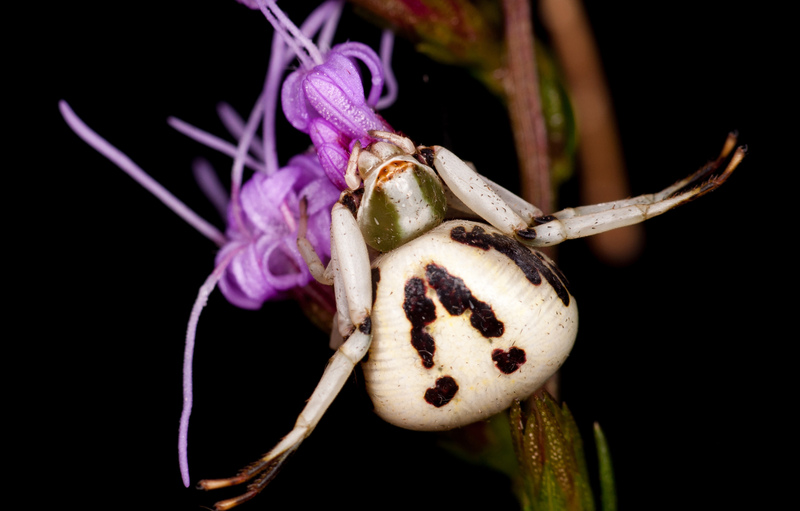 Crab spiders (Thomisidae) often sit on flowers and vegetation waiting with open arms for prey to come within reach. The outstretched arms make them look like crabs, hence their common name. Photo credit: Matt Bertone. Click to enlarge. TA: Are black widows and brown recluses the only venomous spiders found in North Carolina? Bertone: “Almost all spiders that you encounter have venom, but for a spider to be dangerous, it has to have fangs large enough to pierce the skin. Many spiders have fangs that are just too small. And for many spiders, if they were able to pierce the skin, the reaction to the venom would be like a mild bee sting,” Bertone says. Cobweb spiders (Theridiidae) are an extremely diverse group containing many household species and the dangerous widow spiders (Latrodectus sp.). Many also live outside, like this pair (male on the left, female on right) of Theridion that have tied a mint leaf to make a little home. Some cobweb spiders are even social, with many individuals living together in the same web. 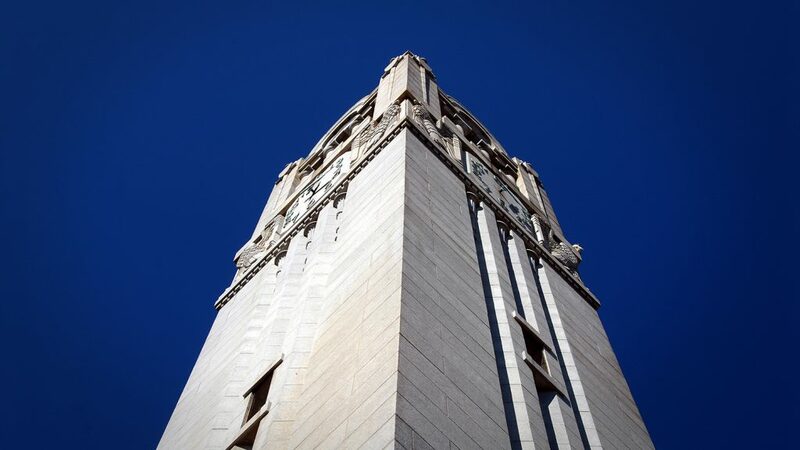 Photo credit: Matt Bertone. Click to enlarge. As a child, Bertone was bitten by a wolf spider that he’d grabbed out of a bucket of water. But he says that spider bites are “actually extremely rare.” That’s because spiders tend to run away from people and only bite if they feel threatened. “People like to blame every red, bite-like thing they see on their skin on spiders, but chances are it’s some other kind of skin infection or in-grown hair or something,” he says. TA: You say that spiders are beautiful, but are there any that you find even the least bit spooky? TA: It’s been said that no one is ever more than 10 feet from a spider. Is this fact or fiction? Bertone: “It’s not true, but it’s also not far-fetched,” Bertone said. A few years ago he worked on the Arthropods of Our Homes project, going into 50 houses to catalog every insect, spider and related creature he could find. Spiders turned up in every single home! And cobweb spiders were found in 65 percent of rooms. To find out more about spiders in and around the home, check out the online information sheet provided by the university’s North Carolina Cooperative Extension Service at http://go.ncsu.edu/spiders.